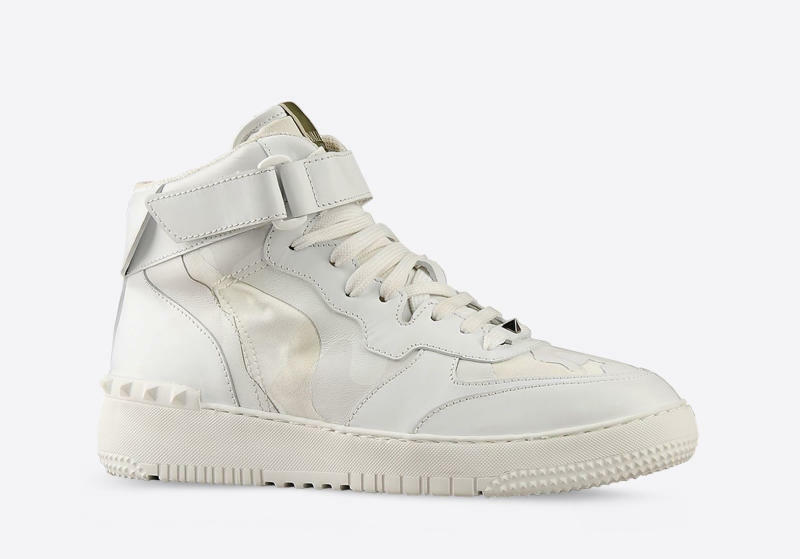 Valentino Garavani’s Rock Be Camoulflage High-Top Sneaker carries a hefty price tag of $995.00. But it also features details from the much cheaper and more well known AF1. The detail that most heads will immediately pickup on is the strap which bears a very close resemblance to the one used on the AF1 Mid. And after that detail, you might notice the shoe also has a similar height and cut to the Mid as well. Take it a step further, and the tongue label is executed in a similar manner to way the Nike tongue label appears on its Uptowns as well. Nipsey Hussle And Yo Gotti On The Cover Of Respect, "New Jack Hustlers"